Do you know what the buzz around Lash Extensions is all about? Are you missing out on offering this lucrative treatment to your clients? Our blog this week gets you up to speed on what Eyelash Extensions are, why you should be offering them to your clients and exactly how to market this treatment to really reach your earning potential. 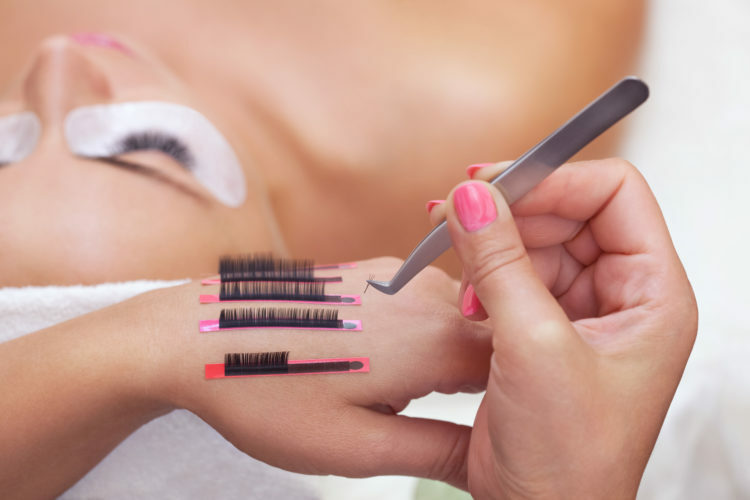 So the trend for eyelash extensions has evolved them into the most in-demand beauty treatment and one which has clients coming back for more. Not only do they allow you to earn up to £75 per treatment (approximately £25-£40 an hour depending upon the area where you’re based) but they are a service which guarantees repeat business with maintenance required roughly every 3-6 weeks depending on the individual client. They also transform your client’s into a walking, talking advert for your incredible services as they receive compliments on their lashes everywhere they go and your name is promoted quite simply through word of mouth as your clients are queried on just where they are getting these incredible lashes. 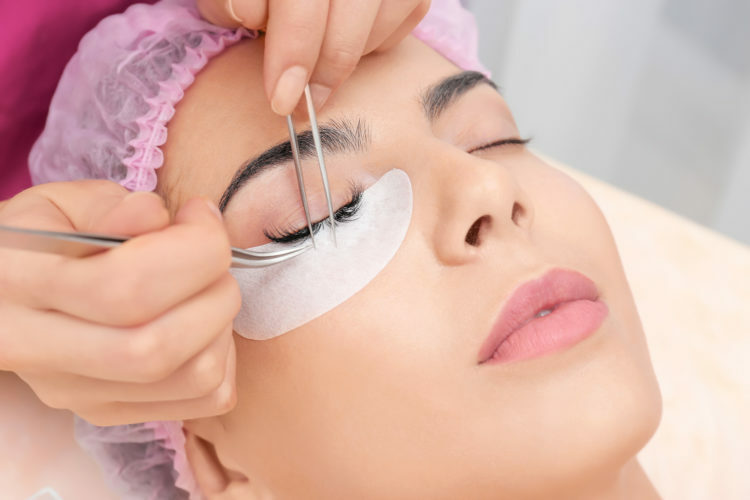 By not providing eyelash extension treatments, you are likely to lose regular clients as they seek out new therapists who can provide these services along with their usual favourites such as brow shaping, tinting and nail treatments. Know your Strip from your Individual? Your Flare from your Volume? Q What are Strip & Flare Lashes? You may be familiar with strip lashes (a collection of individual lashes strung onto a flexible strip and applied as one strip along each upper lash line using a mild, temporary lash adhesive). You may even have trained in applying temporary flare or party lashes (small clusters of false hairs with a small knot at the base and applied in clumps along the lash line again using a temporary lash adhesive). These lash treatments of old are great for those who just want a quick fix for a one off occasion but rarely look natural and are short lived (usually only for 1-3 days depending on type). Q What are Individual Lash Extensions? Individual lashes, also known as semi-permanent eyelash extensions, are applied with a professional adhesive which is usually cyanoacrylate. Individual eyelash extensions can be used to either subtly or dramatically enhance the appearance of the natural lashes, giving a fuller, longer, thicker and often darker appearance to the lashes. The technique involves isolating one single natural lash through skilled use of specialist tweezers and applying one false lash using a very small amount of the adhesive to bond the two. The false lashes sit bonded on the natural lash without being affixed to the skin or surrounding hairs at all and therefore it can move, grow out and shed with the natural lash as the growth cycle of that individual natural hair progresses. The skill is not only in correct use of the tweezers to separate and bond lashes but also in knowledge of correct selection of the right shape (curl), length, thickness and even colour of false lash to use for each natural lash / different clients. Q What are Volume Lashes? Volume Lash, also sometimes called 3D, 4D, 6D or Russian Volume Lashes is an advanced technique following on from individual lash application where the technician creates a ‘fan’ using several individual false lashes and applies these to one carefully isolated natural lash to create dramatically fuller lashes. This technique is also great for helping clients with sparser lashes or gaps in natural lashes as the ‘fan’ lashes can be interspersed with individual lashes as required for the best effect. Q Won't lash extensions damage my lashes? Most therapists will have had heard a client say “oh I couldn’t have lash extensions, they damage your lashes” or “eyelash extensions make your lashes break off or fall out”. This is unfortunately a fairly common misconception but certainly one any confident lash technician can overcome. Incorrect application, removal or home-care could all potentially lead to damage to the natural lashes and so it is a perfectly rational concern. However there are also many reasons the natural lashes can be damaged just everyday without extensions, such as rubbing the eyes harshly, over-processing the lashes through lash perming or lifting treatments, incorrect application or removal of false lashes, use of the dreaded eyelash curlers and even from infection by poor hygiene when applying eye make up such as a stye or conjunctivitis. Explaining clearly to the client how the process of lash application works where you ensure a thorough and precise application, the risk of damage is eliminated provided they follow your home-care guidance. By carefully isolating one natural lash to ensure that a bond with the false lash is made only with that one natural lash, no neighbouring lashes or skin is touched by the glue; this allows the natural lash to move, grow and shed as it should which ensures there can be no damage to the natural lashes. Q Aren't lash extensions really expensive? This is where you need to be confident in explaining the aesthetic benefits of your treatments. The eyes are the windows to the soul and professionally applied lash extensions cannot be underestimated in terms of the making the eyes look bright, wide, awake and more youthful. They also reduce or eliminate the time taken in the morning to apply make up and are ideal for those who wear glasses or contact lenses who prefer not to wear mascara and eyeliner to otherwise create such a polished look. Consider the cost of purchasing a quality mascara every 8 weeks and the time spent applying this daily versus simply the cost of returning for infill treatments every 3-6 weeks. Also compare this against such spending on other beauty treatments such as pedicures, which do not have such a prominent aesthetic and time saving daily advantage. Furthermore, the full set is typically more expensive than a infill, so after their initial investment, the price will decrease to upkeep the look. If the lash technician does great work, clients will find a way to fit lash treatments into their budgets. Especially when you have other clients in your area as walking, talking advertisements of your work, spreading the word to their friends and creating greater desire in your area for these treatments. You might also like to consider a loyalty scheme offering a discount or free infill treatment after a certain amount has been spent or number of treatments received to encourage them to continue with the lash treatments over time. Q Do lash treatments take ages? A full set of individual eyelash extensions can take between 60-120 minutes depending on the fullness of the look desired. With practice and experience, many lash techs will be able to reduce their treatment timings down to 45-90 minutes dependent on the number of lashes to be applied. Remember an infill (maintenance) treatment will take significantly less time – usually between 30-60 minutes. Creating a professional finish takes time and any client who wants you to rush is probably not worth taking on. Most clients will be pleased to have this time to wind down, chat with the technician should they wish or simply to rest. Ensure your clients are as comfortable as possible using a suitable neck and knee bolster as needed. It’s also a great opportunity during lash treatments to chat about other services you offer or recommend retail products to help protect and prolong the lash extension results. Hopefully armed with this advice, you may feel more confident taking the first step into providing these exciting and lucrative treatments. There are many advantages beyond the obvious to offering these treatments, not just that it encourages loyalty and repeat business, but also as the product cost per treatment is minimal and as your experience develops you will be able to effectively ‘give yourself a pay rise’ as your time taken to complete treatments can reduce while the treatment price remains the same. Any lash tech who is confident in promoting their services and skilled at building up an online portfolio of their work and active social media presence, will soon find they are running a full appointment diary and really earning to their best potential. Discover our Accredited 1 Day Eyelash Extension Courses & also our Fully Supported Online Eyelash Extension Course. Either training route will enable you to gain insurance to begin working Freelance to start earning £££s!